Last year, nearly a quarter of American adults didn’t read a single book–hardback, paperback or e-book–a figure that’s almost tripled since 1978. These figures come from this Pew Research Center report (PDF), which also shows that e-reading is on the rise. books. 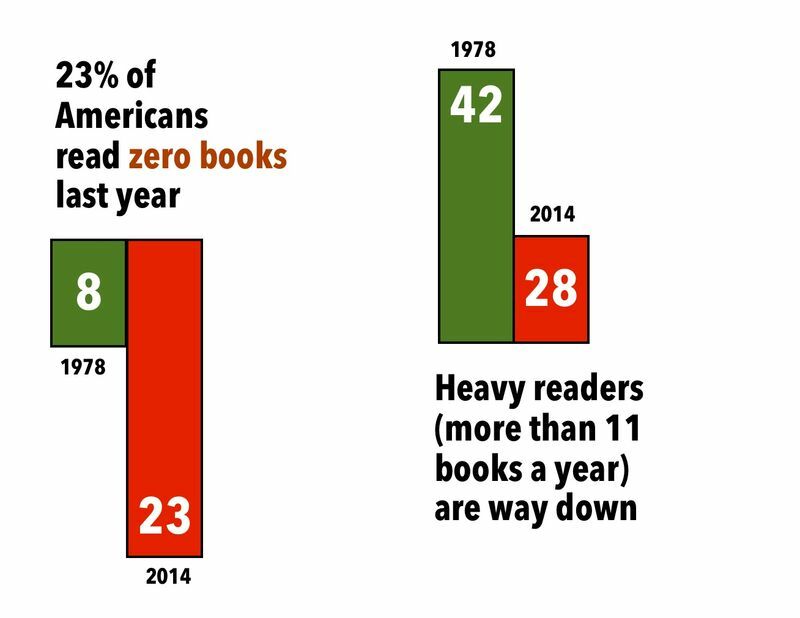 Neither the mean nor median number of books read has changed significantly over the past few years. E-book readers who own tablets or e-readers are very likely to read e-books on those devices—but those who own computers or cellphones sometimes turn to those platforms, too. Though e-books are rising in popularity, print remains the foundation of Americans’ reading habits: Among adults who read at least one book in the past year, just 5% said they read an e-book in the last year without also reading a print book.